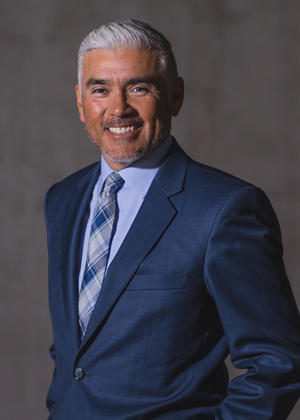 Meet Attorney George H. Ramos, Jr.
George H. Ramos, Jr., moved to San Diego in 1994. He obtained his Bachelor of Arts Degree in Political Science from the University of California Santa Barbara in 1991. While a student, he was active in student politics and traveled the state lobbying on student issues. He then attended Southwestern University School of Law in Los Angeles where he obtained his law degree in 1994. Again, he was active in student politics serving as the school president during his second year, and Board of Governors representing the 9th Circuit his third year. He was also a Moot Court finalist his first year, and on the Jessup International Law Moot Court team during his second and third year. In the summer before his final year, he was offered a summer internship with the San Diego City Attorney’s Office. His work that summer resulted in his current practice. George H. Ramos, Jr., has been a bilingual San Diego criminal defense lawyer for nearly 20 years. He started his criminal career in 1994 with the San Diego City Attorney’s Office where he handled thousands of cases, ranging from DUI’s, thefts, drugs, child abuse, and domestic violence. He was also a supervising attorney in the nationally renowned Child Abuse/Domestic Violence Unit for several years, where he garnered several office-wide awards for his work. After 8 years in the City Attorney’s Office, he opened up his current criminal defense firm in 2002. Over the last 12 years, he has successfully defended and assisted hundred’s of clients charged with various crimes. He personally interviews each and every perspective client, and represents that client through the various criminal court stages. Each client is treated like they want to be treated, with their respective case being the most important issue they are facing. He takes your case personal, just as you do. When not practicing law, George H. Ramos, Jr., spends countless hours on the soccer field. He coaches two local club teams that have won Championships up to the State level, and he continues his own game on two teams. This outlet provides the perfect balance to his other passion, helping others in time of need. Southwestern University School of Law, Los Angeles, California, 1994 J.D. University of California, Santa Barbara, Santa Barbara, California, 1991 B.A.